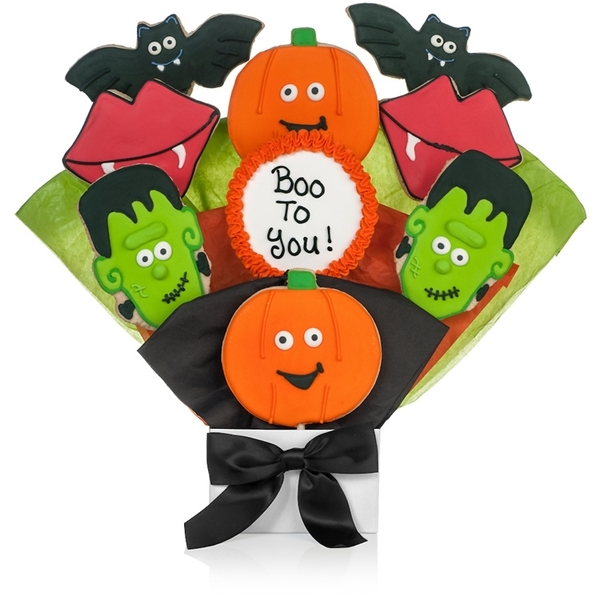 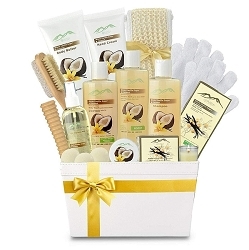 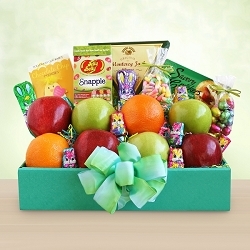 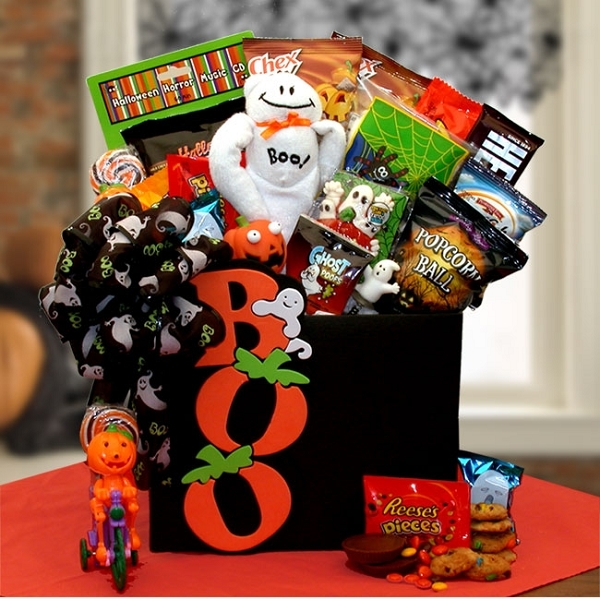 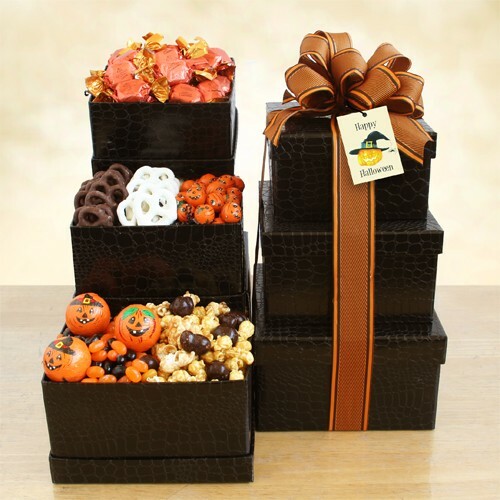 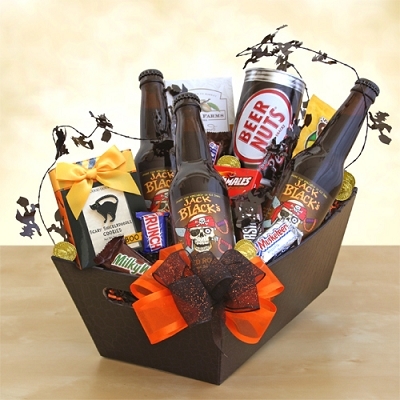 Send this spooktacular Halloween gift basket and Scare up some Halloween fun. 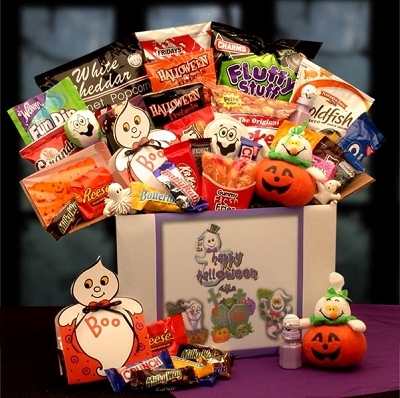 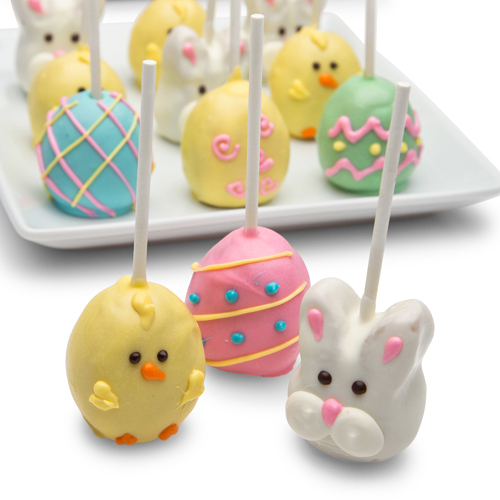 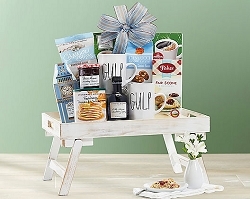 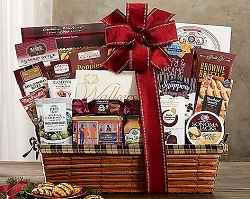 This basket features an assortment of delicious treats that will make ghouls and goblins of any age shriek with happiness. 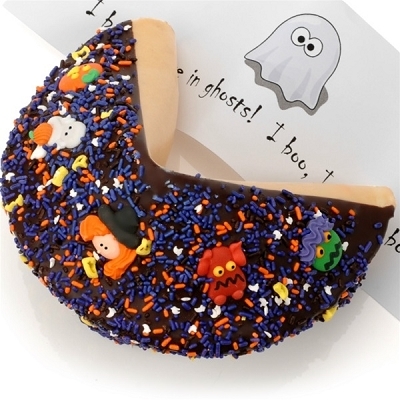 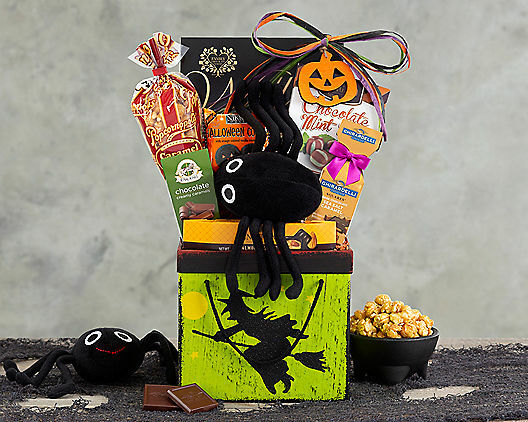 Filled with chocolate caramels, dark chocolate almond toffee, Ghirardelli dark and caramel sea salt squares, chocolate mint puffs, Halloween cookies with vanilla cream, Popcornopolis caramel corn, Walkers chocolates and a scary keepsake plush spider. 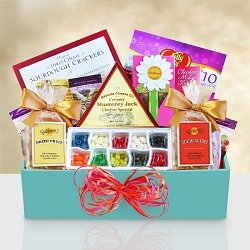 Gift Size: 8" x 5" x 14"